Epcot is perhaps the most underrated park for families at Walt Disney World in Orlando, Florida, but there are many under-the-radar attractions for little kids, and tweens and teens will find plenty to love, too. If you're planning a trip to this world-famous theme park this year, there are a number of ways you can make the most out of your Disney Epcot vacation. From understanding the lay of the land to choosing the right vacation package for your family, there are many ways you can prepare for your trip. Epcot has two distinct areas, Future World and the World Showcase, each of which features its own attractions and events, meaning that you basically get the joy of experiencing two unique park experiences for the price of admission to the park. Future World, true to Walt Disney's vision, revolves around technology and innovation. This is where you'll find many of the popular attractions and also many interactive exhibit spaces including Test Track, Turtle Walk With Crush, The Seas With Nemo & Friends, and Spaceship Earth, which is housed in the giant dome that's become synonymous with the Epcot park. Years before Disney World opened in 1971, Walt Disney had dreamed of a futuristic planned community called the "Experimental Prototype Community Of Tomorrow," which would be constantly introducing, testing, and demonstrating the latest innovations happening in American industry. Epcot would be, in Disney's vision, a "living blueprint of the future" where real people actually lived. In the wake of Disney's death in 1966 and the debut of Disney World in 1971, Disney's vision of Epcot was put on hold. In the late 1970s, the Disney board deemed that a community would be unworkable, and instead decided to build an Epcot theme park that would have the feel of a World's Fair. Stay nearby: If Epcot is on your priority list, consider choosing a hotel nearby. Epcot and Hollywood Studios are both accessible via water taxi to and from the Boardwalk Inn, Beach Club Resort, Yacht Club Resort, and the Swan and Dolphin Resorts. At Epcot, the water taxi pulls up to a back entrance along the World Showcase near the France pavilion. Wear comfortable shoes: Epcot is twice the size of the Magic Kingdom, so be prepared for a lot of walking. Consider renting a stroller even if your preschooler is getting too big for one. Arrive early: ​Like all Disney parks, crowds build at Epcot as the day goes on. It pays to be an early bird and arrive at opening time (or earlier if the park has Extra Magic Hours). This way, you'll be able to experience the most popular rides and attractions without having to wait in line. Use FastPass+ wisely: Before you arrive at the park, reserve times for your three top must-see attractions. FastPass+ is available for Mission: Space; Test Track; Soarin'; and Frozen Ever After. Make advance lunch and dinner reservations: ​Epcot's World Showcase offers some of the best restaurants in Disney World, and they tend to fill up for lunch and dinner. Book a table in advance and you won't be boxed out. Take a midday break: If you arrived early, your troops will probably start lagging sometime around lunch. Head back to your hotel for a few hours of downtime and even a nap. Don't overlook minor attractions: Epcot has a number of very clever, cool attractions for younger kids, including Honey I Shrunk the Kids and Turtle Talk with Crush. 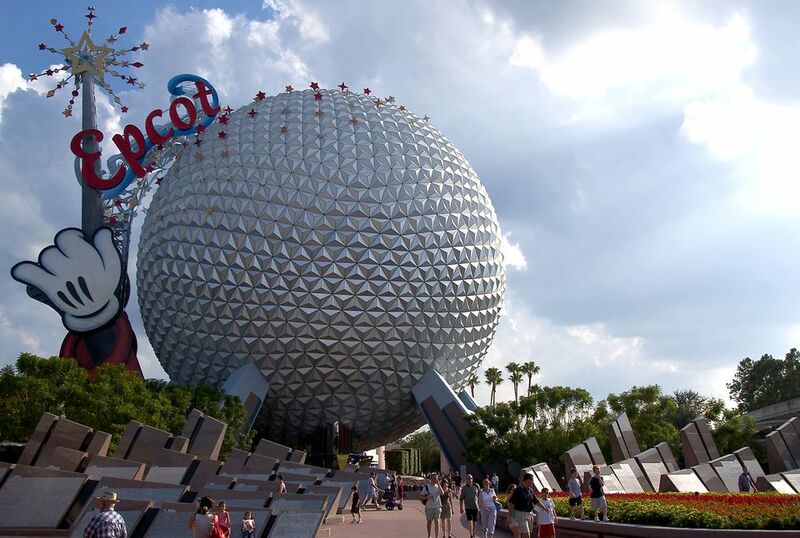 You also won't want to miss Spaceship Earth, the ride inside the iconic geosphere that looms over the park's entrance. Return to the World Showcase for dinner: If you only got to experience one country's cuisine for lunch, you can try another at your evening meal. Stroll through the showcase at a leisurely pace so you can enjoy watching the live entertainers, such as acrobats in China or mimes in France. Stay for the fireworks: This is where that midday nap will come in handy. Epcot's spectacular night-time IllumiNations fireworks display is a must-see. Arrive early for a good viewing spot. Visitors get some great extras at Epcot during certain times of the year, so if you truly want to make the most out of your vacation to this Disney World park, you may want to coordinate your trip with these festive events. Festival of the Arts: From January to February, Epcot features "a trifecta of fabulous" art mediums—visual, culinary, and performing arts—through a series of exhibits and showcases as well as workshops and demonstrations. Epcot International Flower and Garden Festival: From March to mid-May, Epcot brings dazzling character topiaries, flower displays, and free outdoor concerts to the park. Epcot International Food & Wine Festival: In September, October, and half of November bring an amazing array of cuisine, chefs, and wine from around the world to the park through a series of tasting events and special dining opportunities. Festival of the Holidays: Starting after Thanksgiving and lasting through the first of the year, Epcot welcomes a number of special holiday events including Holidays Around the World and the Candlelight Processional.